The Vancouver Modern Quilt Guild invites non-members to join us for my Courthouse Colourplay class on Sunday, April 28th at the Croatian Cultural Centre in Vancouver from 10 am to 5 pm. All of the info is here. The price for non-members is $80. 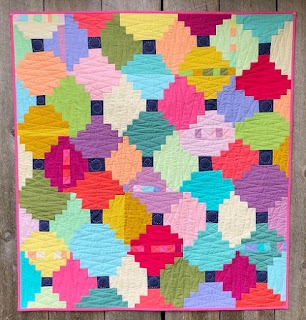 We’ll work intuitively from the center out, creating a dynamic quilt with loads of personality. 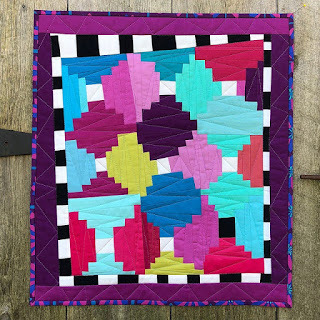 There will be no squaring up with this one — instead I'll show you how to “build out”, finding the fit between adjacent blocks and using up all of your scraps in the process. This one is a baby or small lap quilt with 25 blocks. This one, Emerald Court, has 16 blocks with slightly wider strips. It's about 40" square. It's made entirely of Northcott solids that I loved working with! No fraying and a lovely hand. 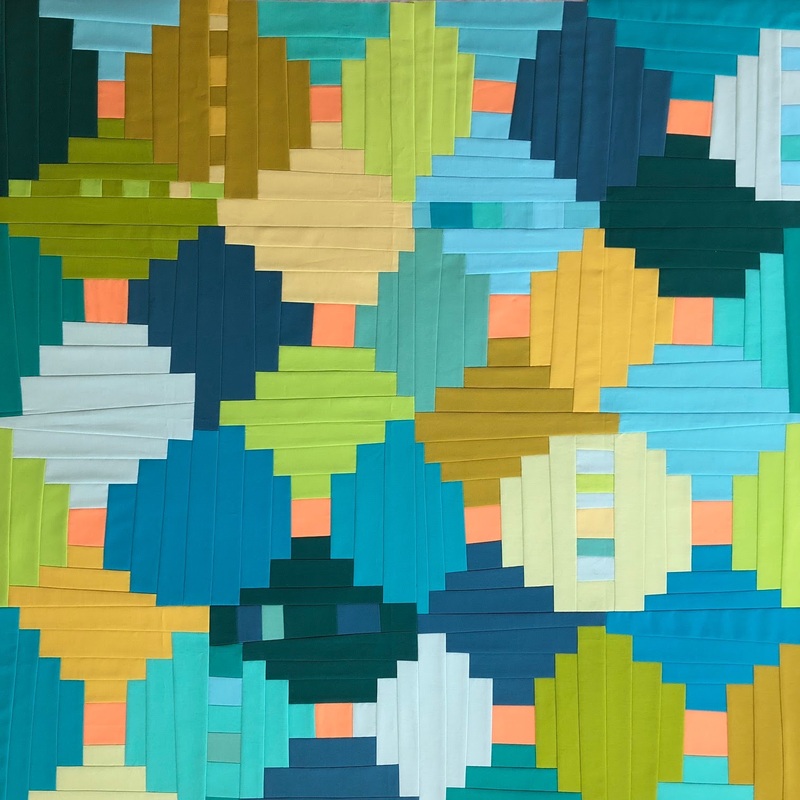 I'm currently hand-quilting it with Aurifil 12 wt and Aurifloss.